This article is part of a series called Bible in a year, for the full year please check out our BIAY home page, or for November check out our November page. 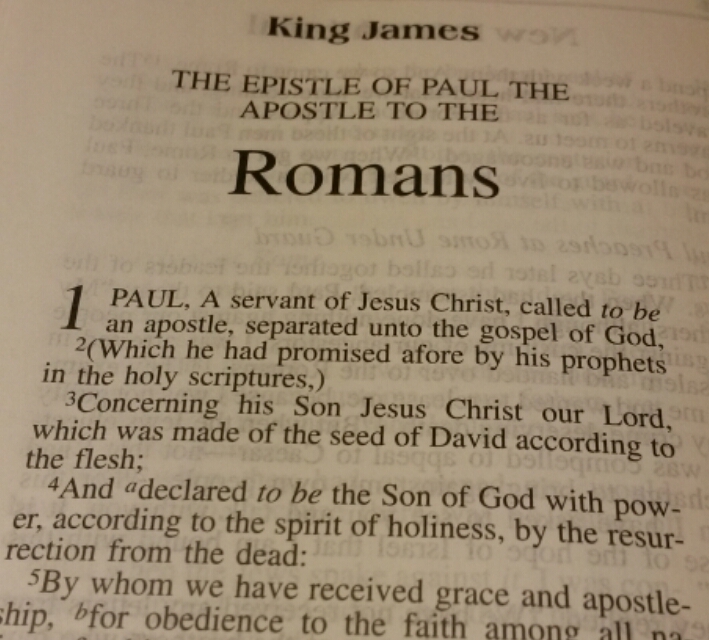 Thank you for checking out “bible in a year” post for November thirty. Romans 2:6 (ESV) He will render to each one according to his works: 7 to those who by patience in well-doing seek for glory and honor and immortality, he will give eternal life; 8 but for those who are self-seeking and do not obey the truth, but obey unrighteousness, there will be wrath and fury. 9 There will be tribulation and distress for every human being who does evil, the Jew first and also the Greek, 10 but glory and honor and peace for everyone who does good, the Jew first and also the Greek. 11 For God shows no partiality. Paul continues his letter with this statement and I don’t know about you, but I instantly have a flashback of all the wrongdoing I have done in my life. This phrase should strike fear in the hearts of the saved and the unsaved alike as well as the one who thinks he is moral as well as the one he thinks as immoral. I am grateful that this is not the end of Paul’s thought because if it was then mankind would be in a sorry state and there would be none of us who would be saved from perishing. Thankfully that is the God I serve, he is a just God and will punish you for the sin that you have done! Regrettably the worlds philosophy about God is a poly-theistic, multi approach way to heaven philosophy that regardless of what you do, if your good outweighs your bad then you will be assured that God will take it easy on you, but if you have committed a major sin such as murder or divorce then there is nothing you can do to work your way towards salvation. That idea is preposterous and contrary to the saving message of the Bible. Here is where Paul states what happens to those who sin and there will be two camps of people, much like the decision that Adam and Eve had to make in Genesis 3, you can either heed the word of God or not and the two camps will be those who believe and seek Gods will and those who go against him. Does that mean that if you become a Christian then everything will be rosy in the garden and that you will have no issues and your life will be free and easy? Not quite no, the rain falls on the righteous and the unrighteous and the temporary things that would stress you out on a day to day basis will be the case for a Christian and non-Christian alike. If you are bad with money before you accepted Christ then you will still be bad with money, if you struggled with alcohol or drugs before becoming a Christian then it would be better if you stayed away from them after you accept Christ into your life. You won’t suddenly be cured of the decisions that make you who you are and this is what Paul is also saying. The human nature is that it will be self-seeking, looking for glory, looking for honor and looking for immortality, even when the motives begin with the purest of intentions such as serving the Lord, we may have personal ambition that would creep in and distort what we are doing. We can only be gifted eternal life and that is through a relationship with Jesus Christ, it is not purely by works, good or bad that will seal our eternal fate. We would not naturally follow Gods will as we are sinful creatures otherwise we would have no need for a Savior. V8 but for those who are self-seeking and do not obey the truth, but obey unrighteousness, there will be wrath and fury. Romans 3:22 (ESV) the righteousness of God through faith in Jesus Christ for all who believe. For there is no distinction: 23 for all have sinned and fall short of the glory of God, 24 and are justified by his grace as a gift, through the redemption that is in Christ Jesus, 25 whom God put forward as a propitiation by his blood, to be received by faith. This was to show God’s righteousness, because in his divine forbearance he had passed over former sins. 26 It was to show his righteousness at the present time, so that he might be just and the justifier of the one who has faith in Jesus. And that is the crux of what Paul is saying here to the most self-centered, self-serving culture that man has ever known. Culturally and you have to remember the Roman culture had many gods, so the idea of a God who would care enough to send the son of that god as a sacrifice that they could be redeemed to that god without them having to work themselves to the satisfaction of that deity, that was mind-blowing and completely against the grain of that culture. I think we could do with remembering that today in our polytheistic self-serving culture. Paul states that regardless of your background, regardless of your family, your culture or your ethnicity, no-one will be spared from the wrath of God if he chooses to set himself against God. Paul states that the Jew first, the will be first in line for the inheritance of God (Romans 2:10) but also they will be first in line for the judgment of God if they are not truly God’s children. V10 but glory and honor and peace for everyone who does good, the Jew first and also the Greek. On the flip side, God will honor those who are truly his children, the Jew first and then also the Greek (or gentle or nations) those who truly accept the free gift of Salvation through the Messiah who came to save the Jews first and then the rest of the world (John 3:16-17) they will receive that reward, glory honor and peace and that is an eternal offer. They will be spared from the wrath that is spoken of in verse 9. V11 For God shows no partiality. 2nd Corinthians 6:1 (ESV) Working together with him, then, we appeal to you not to receive the grace of God in vain. 2 For he says, “In a favorable time I listened to you, and in a day of salvation I have helped you.” Behold, now is the favorable time; behold, now is the day of salvation. James 4:13 (ESV) Come now, you who say, “Today or tomorrow we will go into such and such a town and spend a year there and trade and make a profit”— 14 yet you do not know what tomorrow will bring. What is your life? For you are a mist that appears for a little time and then vanishes. And that is the truth, I have heard countless tales over the years of those who have wanted to wait until the 11th hour to accept God into their lives and they die at 10:55. We truly have no idea how long we have on this earth and my desire in writing this article is that if I help just one more soul into heaven then this has all been worthwhile. Thank you for checking out “bible in a year” post for November twenty ninth. 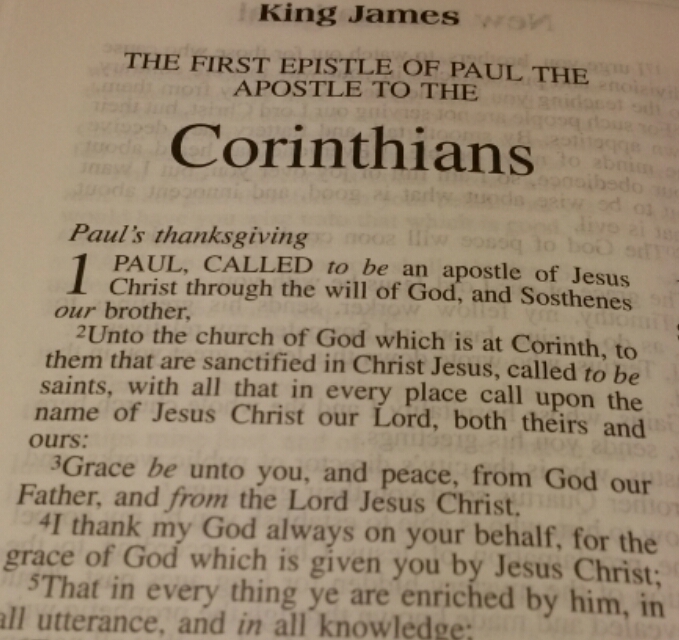 Thank you for checking out “bible in a year” post for November twenty eighth. Jude 1:5 (ESV) Now I want to remind you, although you once fully knew it, that Jesus, who saved a people out of the land of Egypt, afterward destroyed those who did not believe. 6 And the angels who did not stay within their own position of authority, but left their proper dwelling, he has kept in eternal chains under gloomy darkness until the judgment of the great day— 7 just as Sodom and Gomorrah and the surrounding cities, which likewise indulged in sexual immorality and pursued unnatural desire, serve as an example by undergoing a punishment of eternal fire. As we continue in the book of Jude we see more of what was written earlier in the previous articles that Jude is very much a “mini book of Revelation” it is a very small book in relation to the rest of the bible however it is a very dynamic book as in its twenty five verses is some very rich theology. I would urge that you open the bible to the book of Jude and see what truths we wish to convey in this series of articles. V5 Now I want to remind you, although you once fully knew it, that Jesus, who saved a people out of the land of Egypt, afterward destroyed those who did not believe. Jude was not writing anything new, he was simply looking to remind them of a truth that they once knew, much like the previous article when Jude wrote that he had intended to write about the common salvation but instead had to write the letter that he wrote. As observed previously Jude was very sensitive to the Holy Spirit guiding his writing and this is another reason why this is such a rich letter dripping with theology. Sometimes we have to hear good and relevant truths more than once because we do not always heed them or apply them to our present life situation or apply it properly to our lives in order to make the example one that sticks. Let’s face it we are human and we do need a daily washing in the scriptures to keep God’s truth fresh in our minds and keep our focus on Godly things. Numbers 14:1 (ESV) Then all the congregation raised a loud cry, and the people wept that night. 2 And all the people of Israel grumbled against Moses and Aaron. The whole congregation said to them, “Would that we had died in the land of Egypt! Or would that we had died in this wilderness! 3 Why is the LORD bringing us into this land, to fall by the sword? Our wives and our little ones will become a prey. Would it not be better for us to go back to Egypt?” 4 And they said to one another, “Let us choose a leader and go back to Egypt.” 5 Then Moses and Aaron fell on their faces before all the assembly of the congregation of the people of Israel. 6 And Joshua the son of Nun and Caleb the son of Jephunneh, who were among those who had spied out the land, tore their clothes 7 and said to all the congregation of the people of Israel, “The land, which we passed through to spy it out, is an exceedingly good land. 8 If the LORD delights in us, he will bring us into this land and give it to us, a land that flows with milk and honey. 9 Only do not rebel against the LORD. And do not fear the people of the land, for they are bread for us. Their protection is removed from them, and the LORD is with us; do not fear them.” 10 Then all the congregation said to stone them with stones. But the glory of the LORD appeared at the tent of meeting to all the people of Israel. 11 And the LORD said to Moses, “How long will this people despise me? And how long will they not believe in me, in spite of all the signs that I have done among them? 12 I will strike them with the pestilence and disinherit them, and I will make of you a nation greater and mightier than they.” 13 But Moses said to the LORD, “Then the Egyptians will hear of it, for you brought up this people in your might from among them, 14 and they will tell the inhabitants of this land. They have heard that you, O LORD, are in the midst of this people. For you, O LORD, are seen face to face, and your cloud stands over them and you go before them, in a pillar of cloud by day and in a pillar of fire by night. 15 Now if you kill this people as one man, then the nations who have heard your fame will say, 16 ‘It is because the LORD was not able to bring this people into the land that he swore to give to them that he has killed them in the wilderness.’ 17 And now, please let the power of the Lord be great as you have promised, saying, 18 ‘The LORD is slow to anger and abounding in steadfast love, forgiving iniquity and transgression, but he will by no means clear the guilty, visiting the iniquity of the fathers on the children, to the third and the fourth generation.’ 19 Please pardon the iniquity of this people, according to the greatness of your steadfast love, just as you have forgiven this people, from Egypt until now.” 20 Then the LORD said, “I have pardoned, according to your word. 21 But truly, as I live, and as all the earth shall be filled with the glory of the LORD, 22 none of the men who have seen my glory and my signs that I did in Egypt and in the wilderness, and yet have put me to the test these ten times and have not obeyed my voice, 23 shall see the land that I swore to give to their fathers. And none of those who despised me shall see it. 24 But my servant Caleb, because he has a different spirit and has followed me fully, I will bring into the land into which he went, and his descendants shall possess it. 25 Now, since the Amalekites and the Canaanites dwell in the valleys, turn tomorrow and set out for the wilderness by the way to the Red Sea.” 26 And the LORD spoke to Moses and to Aaron, saying, 27 “How long shall this wicked congregation grumble against me? I have heard the grumblings of the people of Israel, which they grumble against me. 28 Say to them, ‘As I live, declares the LORD, what you have said in my hearing I will do to you: 29 your dead bodies shall fall in this wilderness, and of all your number, listed in the census from twenty years old and upward, who have grumbled against me, 30 not one shall come into the land where I swore that I would make you dwell, except Caleb the son of Jephunneh and Joshua the son of Nun. 31 But your little ones, who you said would become a prey, I will bring in, and they shall know the land that you have rejected. 32 But as for you, your dead bodies shall fall in this wilderness. 33 And your children shall be shepherds in the wilderness forty years and shall suffer for your faithlessness, until the last of your dead bodies lies in the wilderness. 34 According to the number of the days in which you spied out the land, forty days, a year for each day, you shall bear your iniquity forty years, and you shall know my displeasure.’ 35 I, the LORD, have spoken. Surely this will I do to all this wicked congregation who are gathered together against me: in this wilderness they shall come to a full end, and there they shall die.” 36 And the men whom Moses sent to spy out the land, who returned and made all the congregation grumble against him by bringing up a bad report about the land— 37 the men who brought up a bad report of the land—died by plague before the LORD. 38 Of those men who went to spy out the land, only Joshua the son of Nun and Caleb the son of Jephunneh remained alive. It is important that you know where he is quoting from as in order to “always be ready to give a defense for the faith” (1st Peter 3:14-15) you must first have read what you are defending and understand the history of where it is coming from. To do that you must be reminded to refresh your heart in a regular basis with the Word of God. The children of Israel who did not believe (and that also included Moses, the man who started the Exodus) never set foot in that promised land. Genesis 6:1 (ESV) When man began to multiply on the face of the land and daughters were born to them, 2 the sons of God saw that the daughters of man were attractive. And they took as their wives any they chose. Basically there were rebellious angels who were not content with their place in heaven decided to take human women as wives of their own, when it speaks in the bible that they took wives it speaks of an un-natural sexual encounter that God was not authorizing when he created man and woman. You will observe that this happened pre flood and shortly after and due to the wickedness that abounded God commissioned Noah to build an Ark and restart the earth’s population. Jude gives another piece of information about these angels that they are in eternal chains until the judgment of the great day and that tells me that God was far superior to those angels and also what they did was wrong in the sight of God and they had to be detained until “that great day” when Jesus will return and judge. V7 just as Sodom and Gomorrah and the surrounding cities, which likewise indulged in sexual immorality and pursued unnatural desire, serve as an example by undergoing a punishment of eternal fire. Genesis 19:1 (ESV) The two angels came to Sodom in the evening, and Lot was sitting in the gate of Sodom. When Lot saw them, he rose to meet them and bowed himself with his face to the earth 2 and said, “My lords, please turn aside to your servant’s house and spend the night and wash your feet. Then you may rise up early and go on your way.” They said, “No; we will spend the night in the town square.” 3 But he pressed them strongly; so they turned aside to him and entered his house. And he made them a feast and baked unleavened bread, and they ate. 4 But before they lay down, the men of the city, the men of Sodom, both young and old, all the people to the last man, surrounded the house. 5 And they called to Lot, “Where are the men who came to you tonight? Bring them out to us, that we may know them.” 6 Lot went out to the men at the entrance, shut the door after him, 7 and said, “I beg you, my brothers, do not act so wickedly. 8 Behold, I have two daughters who have not known any man. Let me bring them out to you, and do to them as you please. Only do nothing to these men, for they have come under the shelter of my roof.” 9 But they said, “Stand back!” And they said, “This fellow came to sojourn, and he has become the judge! Now we will deal worse with you than with them.” Then they pressed hard against the man Lot, and drew near to break the door down. 10 But the men reached out their hands and brought Lot into the house with them and shut the door. 11 And they struck with blindness the men who were at the entrance of the house, both small and great, so that they wore themselves out groping for the door. 12 Then the men said to Lot, “Have you anyone else here? Sons-in-law, sons, daughters, or anyone you have in the city, bring them out of the place. 13 For we are about to destroy this place, because the outcry against its people has become great before the LORD, and the LORD has sent us to destroy it.” 14 So Lot went out and said to his sons-in-law, who were to marry his daughters, “Up! Get out of this place, for the LORD is about to destroy the city.” But he seemed to his sons-in-law to be jesting. 15 As morning dawned, the angels urged Lot, saying, “Up! Take your wife and your two daughters who are here, lest you be swept away in the punishment of the city.” 16 But he lingered. So the men seized him and his wife and his two daughters by the hand, the LORD being merciful to him, and they brought him out and set him outside the city. 17 And as they brought them out, one said, “Escape for your life. Do not look back or stop anywhere in the valley. Escape to the hills, lest you be swept away.” 18 And Lot said to them, “Oh, no, my lords. 19 Behold, your servant has found favor in your sight, and you have shown me great kindness in saving my life. But I cannot escape to the hills, lest the disaster overtake me and I die. 20 Behold, this city is near enough to flee to, and it is a little one. Let me escape there—is it not a little one?—and my life will be saved!” 21 He said to him, “Behold, I grant you this favor also, that I will not overthrow the city of which you have spoken. 22 Escape there quickly, for I can do nothing till you arrive there.” Therefore the name of the city was called Zoar. 23 The sun had risen on the earth when Lot came to Zoar. 24 Then the LORD rained on Sodom and Gomorrah sulfur and fire from the LORD out of heaven. 25 And he overthrew those cities, and all the valley, and all the inhabitants of the cities, and what grew on the ground. 26 But Lot’s wife, behind him, looked back, and she became a pillar of salt. 27 And Abraham went early in the morning to the place where he had stood before the LORD. 28 And he looked down toward Sodom and Gomorrah and toward all the land of the valley, and he looked and, behold, the smoke of the land went up like the smoke of a furnace. 29 So it was that, when God destroyed the cities of the valley, God remembered Abraham and sent Lot out of the midst of the overthrow when he overthrew the cities in which Lot had lived. The consequence of Lots decision in Genesis 13 to choose the valley that looked nicer when he separated from Abram and the consequence to raise his wife and daughter in such a sinful culture and failing to lead his family well should be a warning to us all. I am not going to focus too much on the behavior of the men of Sodom as there are innumerable articles that go in great depth and if the Lord spares me long enough to do an article on it then I will do so. The knock on effect to this is that his daughters do not know right from wrong and a few verses later get their father drunk and they both sleep with him. From this union the Moabite people are born through a child called Moab. Both the men of Sodom and Lots daughters displayed “unnatural desire” and should they not repent of their sins they will suffer a punishment of eternal fire. Thank you for checking out “bible in a year” post for November twenty seventh. • Jesus responds with a parable, describing a situation that is recognizable to help them understand. Peter starts this whole passage of scripture off by being Peter and lets be fair to Peter, we are all a little “Peter-like” sometimes when he starts off well by asking a question and if he had left it there then we would have commended Peter for his pursuit of knowledge, however Peter does what he does and this is why I relate to him so well by giving a “holy answer” as to appear correct. Jesus blows his mind by stating that he should not hold a standard “3 times and you are out” or an elongated “I will do it seven times” but you should do it seventy times seven, not hold an account of forgiveness but actually have that heart of forgiveness and that is why he tells the parable. If you are being truly thankful then you must rid yourself of the things that eat you up, as Jesus says here in Matthew 5 be reconciled to your brother (whether he accepts it or not but do your part) and then with clean hands and a clean heart offer your gift at the alter (or your praises to God) and this is as true today as it was when it was written, I have experience of this as recently someone I had been ministering with was hurt by actions taken and I felt that I had to have it resolved by the following Sunday as I did not want to offer praises to God without reconciliation being offered. I wanted to resolve the issue with my spiritual brother so I could be genuinely thankful for what the Lord had done for me. In the Matthew 18 parable we see that the servant who had been forgiven of so much did not show the same restraint to one who owed him much less and do you think that he was thankful for his current situation? He still had his wife and children and they were not in slavery, he still was in favor by the ruler, and he had been forgiven a great debt and had you have been in the same situation would you have been praising God for all that had been done for you, having a heart of thankfulness for the blessings bestowed upon your life as you had been given a great gift and one that could not possibly repay or would you respond as he did. The forgiven man goes out into the street and does he show thankfulness or give thanks? Do you think that as he was throttling the man who owed him a small debt he had a heart of thanksgiving? I would say of course not and we have to be careful today that we do not let the cares of this world, the slights that we think we have against folks, the gossip that we breathe against our friends or whether we are getting a big enough slice of the pie or whether we feel that someone owes us steal away the reason for this season that we are giving glory and thanks to God for all he has provided for us this far in the year and we gather the ones that we want to be around and want to spend quality time with. I lament that I will not be with my parents this year but I will give thanks for them when they are here in the New Year. Examine what irks you about that person and establish whether that price is high enough to lose that person in your life. There is a flippant saying in Scotland that states “If you lend a friend 20 pounds and you lose that friend over it, it probably was a fair price for the friendship you had!” if the issue is money then that is easy! You either forgive or make arrangements that suit both parties to repay, or if the issue is pride then swallow it, if the issue is forgiveness then forgive them and pray for them, if they choose to be spiritually immature then that is on them. Do as much as you can, but if you forgive then do not bring it up anymore, bury it. And thanksgiving does not have to be just one day a year and I challenge you this in this New Year give thanks to God regularly and give thanks often have love feasts on a regular basis and invest in your brothers and sisters, both family and spiritual. I am grateful for this holiday that we get to focus on God for all he has provided for us, but let us not just make it one day a year, let us be giving thanks with a grateful heart on a regular and ongoing basis. This year my wife and I had a Thanksgiving Love Feast last Sunday for 27 people in my small house and that is where the above picture comes from, what was really cool is that my wife looked up verses that spoke about giving thanks and our people read these out to set our hearts on God. We do this as well as meeting with her family (it is important to invest in your spiritual and relational family often) on the day itself and I commend you that if you know someone who will be alone this Thanksgiving then please invite them over and bless them because you know that as followers of Jesus we are to love one another and be a friend to the friendless. One of the modern trends that I hate (and this is from a guy who has done it on the first year folks were doing it) is that people swap time with the folks who made an effort to spend time with them at Thanksgiving in order to line up in the cold for the latest and greatest gadget at a rock bottom price, or to make their Christmas cheaper and that part is admirable, but instead of us using that money wisely we use it to cram one more gift into that budget and our stores on “Black Thursday” (formally known as Thanksgiving) turns from that picturesque image of people being genuinely thankful to running around to get more stuff and not actually be thankful for what we have and we end up looking like the opening scene of the movie “The Grinch that stole Christmas”. God bless and I pray this was a blessing and please feel free to like, share or comment on here or whatever social media platforms you use as the Lord leads you to. I truly wish you and yours a happy and safe Thanksgiving season. 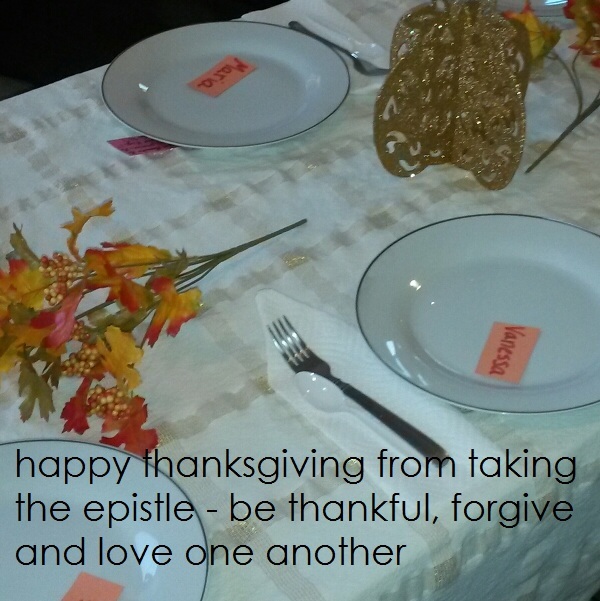 Love your families and pleas give thanks to the one who has given you and forgiven you of so much. Thank you for checking out “bible in a year” post for November twenty sixth. Matthew 1:1 (ESV) The book of the genealogy of Jesus Christ, the son of David, the son of Abraham. 2 Abraham was the father of Isaac, and Isaac the father of Jacob, and Jacob the father of Judah and his brothers, 3 and Judah the father of Perez and Zerah by Tamar, and Perez the father of Hezron, and Hezron the father of Ram, 4 and Ram the father of Amminadab, and Amminadab the father of Nahshon, and Nahshon the father of Salmon, 5 and Salmon the father of Boaz by Rahab, and Boaz the father of Obed by Ruth, and Obed the father of Jesse, 6 and Jesse the father of David the king. And David was the father of Solomon by the wife of Uriah, 7 and Solomon the father of Rehoboam, and Rehoboam the father of Abijah, and Abijah the father of Asaph, 8 and Asaph the father of Jehoshaphat, and Jehoshaphat the father of Joram, and Joram the father of Uzziah, 9 and Uzziah the father of Jotham, and Jotham the father of Ahaz, and Ahaz the father of Hezekiah, 10 and Hezekiah the father of Manasseh, and Manasseh the father of Amos, and Amos the father of Josiah, 11 and Josiah the father of Jechoniah and his brothers, at the time of the deportation to Babylon. 12 And after the deportation to Babylon: Jechoniah was the father of Shealtiel, and Shealtiel the father of Zerubbabel, 13 and Zerubbabel the father of Abiud, and Abiud the father of Eliakim, and Eliakim the father of Azor, 14 and Azor the father of Zadok, and Zadok the father of Achim, and Achim the father of Eliud, 15 and Eliud the father of Eleazar, and Eleazar the father of Matthan, and Matthan the father of Jacob, 16 and Jacob the father of Joseph the husband of Mary, of whom Jesus was born, who is called Christ. 17 So all the generations from Abraham to David were fourteen generations, and from David to the deportation to Babylon fourteen generations, and from the deportation to Babylon to the Christ fourteen generations. We read in this generational family tree that begins the part of the bible that we call the “New Testament” and also the group of books we call “The Gospels” and strictly speaking this was a “Jewish legal genealogy” as the 14th generation stops at the man who stepped in to be Jesus father. Mary’s betrothed husband Joseph. However the messiah qualified through both genealogies in the book of Luke (the genealogy of his mother Mary) and the book of Matthew. All this was fulfilled in one man! Tremendous stuff! And Matthew was a man ordained by God to record this genealogy as he was a meticulous records keeper being a tax collector for the Roman Empire he knew how to keep official books as well as the ones where he would be running a personal profit and keep his Roman masters happy. I find it wonderful that it was the man that we knew was a first-hand witness to the messiah and his works and teachings, he was an educated man as the Romans would not put a man who was not literate and fluent in the business language in charge of the money and he was prepared to follow Jesus and leave an account for us to have an understanding of some basic teachings of Christ. Matthew is seen as a “Jewish gospel” as it uses Jewish terms without explanation and refers to Jesus in many different Jewish ways and in the 2nd century it was the most quoted gospel of the three synoptic gospels by Christian leaders. Due to its Jewish roots it is in its natural place at the beginning of the New Testament and gives a good link between the Old Testament and the rest of the New Testament. Matthew’s gospel is very much an evangelistic gospel to the Jewish people to show them that Jesus is their Messiah. I am not going to go too deeply into the messianic claims of Jesus in relation to the points made above and if you wish extra clarification them please click on the bullet points that go into those claims a little bit further and as we come into the Advent season our minds naturally gravitate to questions such as “who was Jesus?” and “why was Jesus the messiah?” and I hope to provide some basic apologetics to help you answer these questions. This genealogy is different in culture to most Jewish family history in that there are 4 women mentioned. Let’s look at those four women. • Tamar – Genesis 38:6-30 – Tamar was a widow to Er and such as the custom of the day his brother Onan refused to bear her a child, Judah promised and withheld his next son Shelah, knowing that she had no heirs she played a harlot by the street and enticed her father in law to lie with her in order to produce an heir, that heir became Perez and Zerah. • Rahab – Joshua 2, Joshua 6 – Rahab was a prostitute who lived on the city walls of Jericho who God saved her life and out of her life of sin by allowing her to help the children of Israel when they attacked the city of Jericho. • Ruth – Book of Ruth – A Moabite widow who despite a recommendation from her former mother in law Naomi to go back to her mother’s house she followed her home and eventually was redeemed by her kinsman redeemer Boaz. • Bathsheba – 2nd Samuel 11:2-12:24 – Matthew doesn’t call her by name but refers to her by the wife of her husband who was killed in battle, David sinned with Bathsheba, she lost that child and then had a second child by David who was the one mentioned in this family tree, the child grew up to become King Solomon. 3 out of 4 of them would not be described as “Proverbs 31” women huh? So next time you even attempt to say that “my sin is too much to keep me from God” or too much has happened in my life to be rescued by God then please remember these women and remember that they played a part in the history of the most important birth in the history of the planet. I love that about the Bible that it gives the “warts and all” history of its hero’s. It records the successes and failures and we can learn from this even today. God can use you; you just have to be willing to be used. When we look at the history of earthly kings and queens we see a certain family lineage and certain families who have joined together in matrimony to keep a bloodline that is of a certain kingship or nobility. We do not see that in the history of the King of Kings, we have prostitutes, we have people who have deceived, we have had a child come from a couple whose first union was because of an affair and lastly we have had people who have mourned and been redeemed. You are less than perfect, I am less than perfect and we can be adopted into the family and grafted into the natural branches. (Romans 11;1-36) and despite that fact that we have all sinned and fallen short of God’s glory (Romans 3:23) we do have an out to our sinful life by our own kinsman redeemer called Jesus Christ who died on a cross for our sins. We no longer have to continue in our sins because we have the opportunity to be in heaven due to Christ’s sacrifice. Lastly Matthew tells us in verse 17 that Jesus was the son of Mary and Joseph was the husband of Mary. Matthew was very careful to make note that Joseph was not Jesus biological father and despite the fact that he had included the genealogy of Joseph, he had done so in order to preserve the legal aspect that the Jewish scoffers and skeptics would be looking for in order to try to disprove the claims that Jesus was in fact the Messiah. Which brings us back to the fact that it was God ordained that Matthew with his meticulous eye for detail and education background that he was the man ordained to bring us this gospel. God willing I pray that you will come back and read the next installment when we publish it. Thank you for checking out “bible in a year” post for November twenty fifth.